Increasing financial inclusion around the world is essential to reducing poverty and boosting prosperity. Bringing people into the formal financial system helps them make day-to-day transactions, like sending and receiving money, and allows them to safeguard their savings, which helps households manage cash flow spikes and build working capital. Financial inclusion also helps fund small businesses, enabling owners to invest in assets, mitigate shocks, plan and pay for recurring expenses, navigate unexpected outgoings and improve their overall welfare. As a result, the benefits of financial inclusion are not only significant for individuals, but for societies as well. And, as the world rapidly transitions towards a cashless economy, issues relating to financial inclusion are likely to increase. Domus Semo Sancus (DSS) is committed to closing the divide between the banked and unbanked by helping individuals gain access to the financial services they need. In order to boost financial inclusion, DSS has created two powerful tools to assist individuals and businesses alike: SafetyNet and Wowlet. More specifically, these applications help financial institutions streamline the approval process by verifying the identities of both customers and clients. Wowlet is built on top of SafetyNet, which utilises the latest advances in artificial intelligence from IBM Watson, Amazon, Google and Microsoft – along with DSS’ own proprietary code – to perform enhanced due diligence checks at a quality, depth and speed far exceeding that of a human expert. Wowlet and SafetyNet are designed to help the two billion unbanked people around the world who do not currently possess a proof of identity that meets the Financial Action Task Force’s Know Your Customer (KYC) standards. By leveraging alternative forms of information, such as public profiles, the applications allow these individuals to be reliably assessed for risk. DSS’ SafetyNet uses a customised taxonomy to search tens of thousands of global data sources in real time across the surface, deep and dark webs. It studies structured and unstructured information – including global court cases, criminal registries, government records and curated news sources stored in multiple languages – for signs of risks relating to subjects of interest, at speeds exceeding 100 million pages per second. Any relevant information is then pulled together in an easy-to-read live web (or PDF) report. 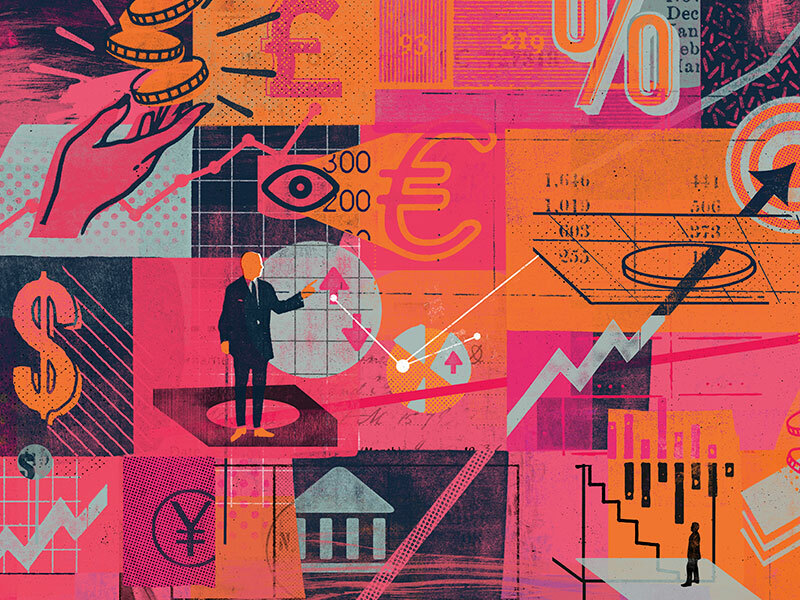 One of the ways banks typically seek to safeguard their asset portfolios and brands is through a process known as ‘de-risking’, but this approach has a number of drawbacks. De-risking occurs when international banks attempt to reduce their risk exposure in response to tighter regulatory standards. The practice has become a serious threat to economic and political stability in Latin America and the Caribbean, as it often involves the termination of correspondent banking relationships with local banks, strategic market repositioning, complete withdrawal from the region and the closing of accounts for selected clients. If not addressed, de-risking could jeopardise the $75bn (€63.4bn) of remittances coming into the region every year from citizens living abroad. These remittances are a lifeblood for the recipients, as they are primarily used to purchase basic goods and cover expenses relating to education and healthcare. By utilising SafetyNet, local banks can, if necessary, monitor their entire client list on a continuous basis. Banks are then immediately alerted to any high-risk clients, allowing them to quickly take the necessary actions to eliminate or mitigate the risk. Further, SafetyNet enables local banks to take a proactive approach to KYC and anti-money laundering rules, which should give international banks a measure of comfort when moving away from blanket de-risking measures. SafetyNet also offers banks other ways of reducing risk without unfairly penalising their customers. Building on its extensive datasets and its ability to conduct real-time vertical and horizontal searches, SafetyNet is able to utilise its link analysis engine, known as Visualise Connections, to graphically display the relationships and associations of a subject of interest. Visualise Connections is a first-of-its-kind cognitive link analysis tool that can create nodes cognitively, manually or through batch uploads. It allows an end user to quickly see the relationships between nodes and, through its tight integration with Google Maps, gives the end user an unprecedented view of potential risk that is not available through similar applications. Among all the data consumed by SafetyNet on a daily basis are a large number of facial images. Building on the latest advancements in machine learning and machine vision, DSS has built a reverse image search tool called Facial Search. This enables the program to receive images – either manually or in real time from a video source, such as a CCTV network – and search within its own datasets for matching images. If a matching image is found, SafetyNet can automatically extract the identifying information and conduct an enhanced due diligence search. With SafetyNet, Visualise Connections and Facial Search, law enforcement organisations can take a proactive approach to the detection, investigation and solving of crimes, particularly serious crimes. Similarly, governments can provide safe neighbourhoods for their citizens, secure their borders and protect their strategic assets without having to scale up their manpower. DSS is careful to ensure that all of its programs adhere to the highest privacy and security standards. All of SafetyNet’s databases, as well as the application itself, are kept at Tier 1 cloud providers possessing a range of certifications for compliance, including ISO 27001, 27017 and 27018. Only the sanction lists, directories of people already in the public eye and image databases are stored as searchable records. SafetyNet doesn’t create or retain records on entities. Although its datasets have information about individuals within them, they are stored as unstructured data, and no records are created or stored about any individual entities. SafetyNet searches are conducted on the fly and, once a search is completed, only the profile report is retained. No metadata is kept on customer searches and each search is completely independent from any other. All profile reports and log files are kept in an encrypted state with built-in data governance tools that ensure files are not prematurely destroyed or kept for longer than needed. The success of DSS is tied to how well it knows its customers, which is directly connected to the quality of its datasets and the credibility of the information SafetyNet analyses during each search. It also stems from the fact that DSS customers trust the company with their data. We spend a significant amount of our budget on ensuring that our data sources are of a high quality and our results are accurate, relevant and timely. As regulatory compliance is vitally important to us – not to mention to our customers – we have made it an integral part of our product development. We see innovation as building products that meet regulatory standards while delivering great user experiences – and that’s what we promote throughout the organisation. As DSS continues to pursue its goals, it hopes to put a significant dent in the number of people who are unbanked and make their lives better in the process.